Modern society is characterised by rapid technological development. 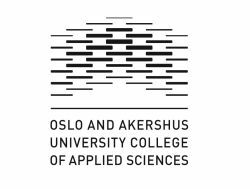 The Oslo Research Group on Responsible Innovation (Norway) aims to contribute to responsible innovation by engaging in research and development projects with clear sustainability and democratic objectives. Dr Ellen-Marie Forsberg functions as the Principle Investigator for HiOA in the PRINTEGER project and is leader of WP IV. She is a senior researcher with a doctorate in practical ethics/philosophy focusing on methods for doing ethical evaluations of new technologies. The context for her work was public ethics advisory committees, and she worked in the Norwegian Committee for Research Ethics in Science and Technology from 1999 until 2007. Dr Svenn-Erik Mamelund is a demographer and a senior researcher at the WRI/HiOA. He has extensive knowledge of quantitative methods in demography and epidemiology using SAS/STATA and survey/life course data from registers. His research topics include influenza epidemiology, influenza vaccine uptake among the elderly, demography, inequality, working life, sick leave and health. Dr Eric Breit is a senior researcher at WRI/HiOA and has a PhD in management and organisation. His research revolves around the impact of institutional change on organisations and organising, often through a case-oriented approach. Current research contexts are organizational misconduct, street-level implementation of public reforms, and reorganization to accommodate new technologies.